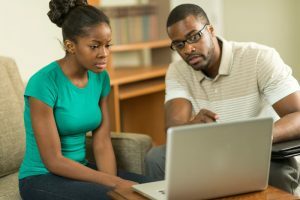 RALEIGH, North Carolina – North Carolina State University and the University of North Carolina at Chapel Hill are launching a joint online program for people who have been hired to teach in North Carolina schools but haven’t yet been fully certified to work in classrooms. The program is intended to help the state address its widening teacher shortage by providing a new avenue for “lateral entry” teachers to gain licensure. Lateral entry teachers are people who have content knowledge who have been hired to fill teaching vacancies but have yet to obtain teaching licensure. The program, to be offered completely online, will be open to lateral entry teachers in the fall. In its pilot phase, the program will have capacity for approximately 50 participants in its first year, but will be designed so that it can quickly expand, said Diana Lys, assistant dean for educator preparation at the UNC-Chapel Hill School of Education and one of the organizers of the effort. “We’ve designed this program to make it convenient for working lateral entry teachers, making it possible for them to master the competencies they need while they remain in their jobs and to gain knowledge that will help strengthen their effectiveness,” Lys said. The accelerated program should take participants 12 to 18 months to complete and cost less than $5,000, she said. The program is needed because school districts are having to rely more heavily on hiring lateral entry teachers to fill vacancies, said Michael Maher, assistant dean for educator preparation and accreditation at NC State’s College of Education and one of the program’s organizers. But, lateral entry teachers leave the profession at a rate 79 percent greater than other teachers. North Carolina employs more than 4,300 lateral entry teachers, according to a 2015 report by the State Board of Education. More than 850 of them work in school districts near the UNC-Chapel Hill and NC State campuses. “This program will provide lateral entry teachers with the teaching skills and knowledge they need to be successful in the classroom thus assisting in their retention in North Carolina public schools,” Maher said. The program will draw on expertise from faculty at the two campuses in the areas of teacher preparation, online and distance education, and competency-based instructional models, Lys and Maher said. The program will be offered in a partnership with D2L, a company that provides online platforms for university courses and has experience establishing and maintaining online competency-based education programs. The program initially will offer preparation in the content areas mathematics, science, English/language arts and social studies. Organizers expect the program to be expanded in the future to offer a preparation program in special education. “There is great demand for this type of preparation,” said Lys. “We hope that eventually we will be able to enroll hundreds of people in this program. The program development is supported by a $148,000 grant from the UNC system’s General Administration, which sought requests for proposals from system campuses for new academic programs that would use competency-based education principles. Competency-based education typically relies on instruction that focuses on students learning and demonstrating mastery of concrete skills. “Competency-based program design and delivery organizes learning around student mastery of content instead of seat time spent enrolled in a course,” said Michelle Soler, director for competency based education and assessment for the UNC system. While the program will use D2L learning management software, as with all UNC system competency-based pilot programs, curriculum decisions and content development will be controlled by faculty, ensuring rigor and that the programs meet academic standards, Soler said. “UNC system competency-based education programs will also incorporate mentoring and guidance by dedicated coaches who will work with students throughout their progress through the program, with the intent of ensuring timely graduation,” she said. The program will be designed to address the N.C. Professional Teaching Standards, Digital Learning Competencies and additional competencies developed by faculty at the two universities to address discipline-specific teaching strategies. Organizers also plan to work closely with leadership of area school districts to identify additional competencies that address local needs. The program will be more extensive than current lateral entry certification requirements. Lateral entry teachers currently are required to complete 18 hours of coursework over a three-year period. Those requirements are typically met by lateral entry teachers taking a variety of courses from different institutions, leading to inconsistency and lower-quality preparation, said Maher.